Researchers were quick to summise that this was because charities were not taking advantage of the latest technology. However, research in the Humber Region disagrees with that assumption. Organising charitable events on an annual basis means that I regularly seek out feedback from our donors. When social media first became an acceptable fundraising tool (between 2009 and 2012), our digital donations outweighed traditional cash donations 60-40. Over the ensuing years that number has flipped and cash donations now make up 60% of the total. According to the research I conducted last year, there’s one main reason for this – trust – not in the charity (the donor wouldn’t be committing otherwise) but in the security and morals of a third party system. There has been enough media coverage surrouding online fraud and charity that has convinced people it’s much safer to hand over cash on the old sponsor form format. Also, my earlier blog post on the differences between fundraising platforms shows just how much these online portals can take from a charitable donation. As time as gone on, donors are more aware that if they hand you a £10 note, you’re getting £10 (plus the Gift Aid if applicable), not £10 minus a handling fee and/or card charges and PayPal fees. 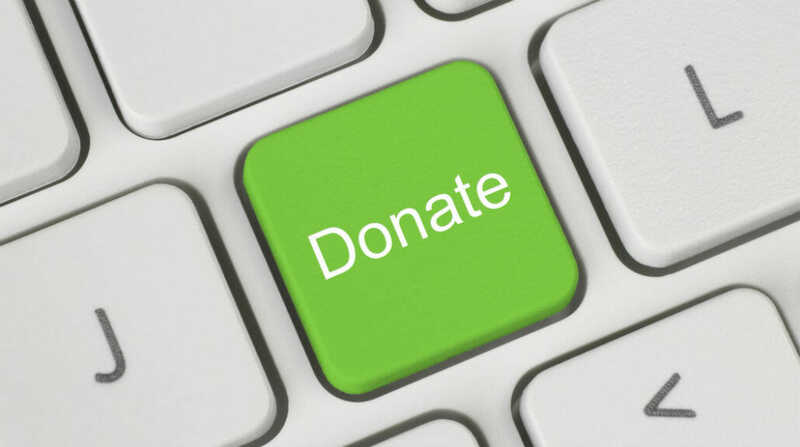 So it’s my belief that charities are exploring the latest technology to gather their donations, it’s just their donors, especially at a local level, prefer to see the charity get their donation with the minimum fuss. This article here provides some good information for charities worried about the possibility of online fraud.